Eden Hazard showed his talent once again after being World Cup’s best dribbler. Despite losing the World Cup semi-final, Eden Hazard has something to show for his efforts at this year’s tournament after being confirmed as the best dribbler. The Belgian winger made more successful dribbles per match than anyone at the World Cup, including Lionel Messi. 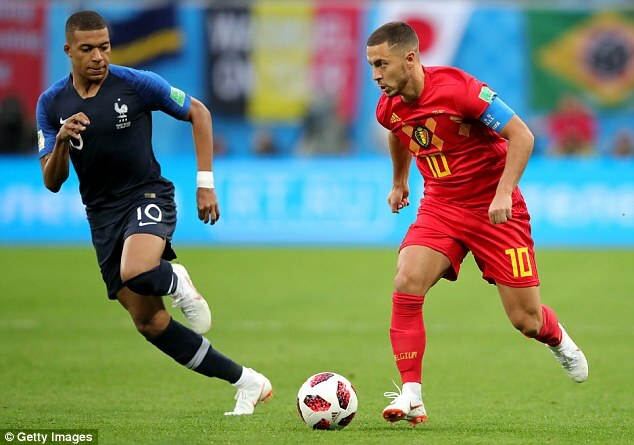 According to Opta, Hazard completed 6.9 dribbles per 90 minutes as he played a pivotal role in helping Belgium to five consecutive wins before losing to France. Lionel Messi did come in second place however, with 5.8 dribbles per 90 minutes, while French starlet Kylian Mbappe came in close behind with 5.7 – and can obviously still improve on that in the final against Croatia. Hazard has often been dubbed one of the best in the world outside of Messi and Cristiano Ronaldo, and his most recent stats show it is not wide of the mark. The 27-year-old has been linked with a move away from Stamford Bridge and will have done his dream of a move to Real Madrid no harm following his World Cup displays.